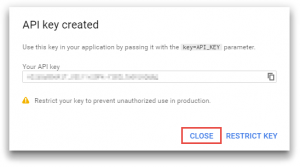 Google has recently announced that they have changed their policy in regards to accessing and using their Maps API without an access key. Starting June 22, 2016 all new domains using the Maps API must register an account with Google and register their site for access to use the Maps API. 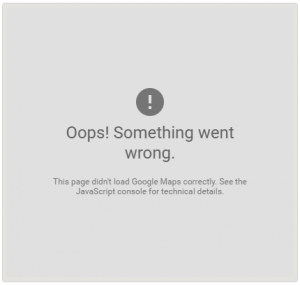 So if you are receiving this error message instead of a map you must create an account with Google and setup access keys for your site. Google does provide documentation on how to get a key but they are pretty sparse, lacking on detail. This FAQ will provide more detailed step by step instructions. You must have a Google account or Gmail account. If you do not have one, you can create a Google account without a Gmail account here. If you have a Gmail account, then you already have a Google account. To login to the Google API Console you will use your Gmail login email and password. 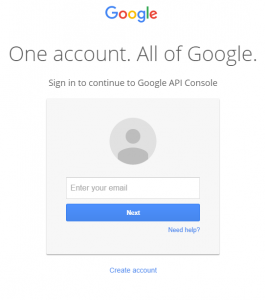 Login to the Google API Console. After you have logged in, click the “GET A KEY” button below. The “GET A KEY” button should take you to the Google API Console where you can create a new project. Choose whether or not if you would like to receive email updates. Read the Google Play Android Developer API Terms of Service. After you have, select Yes and then click the “Agree and continue” button. If you receive an error when clicking the “Continue” button, dismiss the error. In the Upper right corner of the page you should see a dropdown that says “Select a project”. When you click it, the bottom option will be “Create a project…”. Select it. If a popup is displayed for a project name, give your project a name and click the “Create” button. After a few moments (be patient) your new project will be created and the page will reload to the project’s Credentials panel. If you are not on the Credentials panel, click the “Credentials” link in the left-side navigation panel. 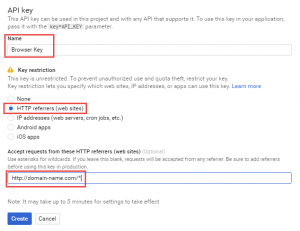 Select the “HTTP referrers (web sites)” option for the “Key Restriction”. I recommend using http://domain-name.com/* as the referrer; change domain-name.com to your website address. The preceding http:// and trailing /* are important and should not be left off otherwise your Browser Key may not work because it will not be able to validate the referrer. You can now click the “Create” button. The most common error is setting up the referer restriction incorrectly. If you encounter problems it is recommend to remove all restrictions and see if that helps, and then add your restriction back in. Chances are that if it works without the referer restriction and does not with restriction, the referrer you are using is incorrect. Open the directory page in Chrome, hit the F12 key and then click the Console tab. 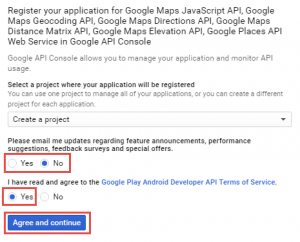 Google displays the Maps API errors in the Console with links to their documentation on how to correct the error that is occurring. The page should show a popup which contains your Browser API Key. Important: Copy this to a text file or email where it will be easily accessible as you will need it later in this tutorial. After you have copied it, click the “CLOSE” button to dismiss the popup. Creating the Server API key process is nearly identical to creating the Browser Key you followed in Step 3. 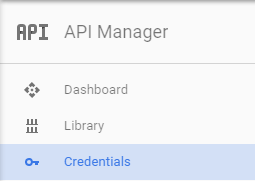 You should still be on the Credentials page in the Google API Console. 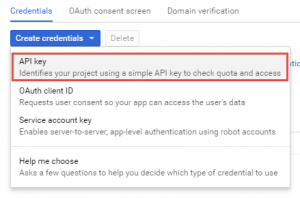 Click the “Create credentials” button and select the “API key” option. The “API key created” pop should display immediately just like the Browser API key. There is no need to restrict this key. If you have a static IP address for your website domain, it is recommend, but not required, that you add an IP restriction the the server key. This will make it more secure. 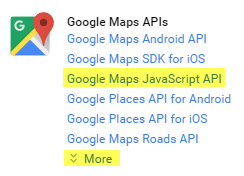 The first you will find under the “Google Maps APIs” section. The second will be shown if you click the “More” link. Click on each of these and then click the “Enable” button to activate the API. 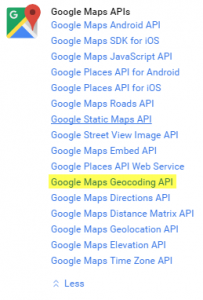 Finally, navigate to the Connections : Settings admin page, click the Advanced tab and scroll down to the Google Maps Geocoding API section. Paste the keys you copied in Steps 3 and 4 into the corresponding fields. Be careful to paste the correct key into the match key field. If you paste them in backwards, they will not work.